Sprovieri is delighted to bring together new works by three Berlin-based artists, Alicja Kwade, Michael Sailstorfer and Thomas Rentmeister. 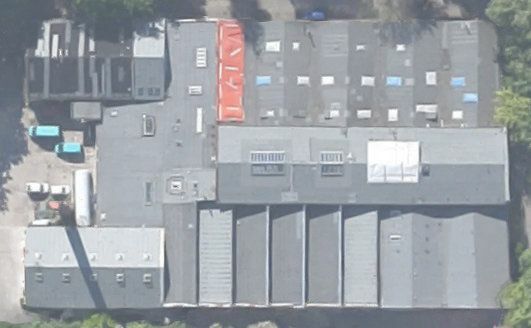 The three artists work in adjacent studios in a large building in Liebermannstr 24-28 in former East Berlin. While maintaining their own specific language and use of materials they share a similar artistic vision. Alicja Kwade’s work often deals with time and light, something that is reflected in the works chosen for this show. A working clock with a lead cast nearby suggests the 'heaviness' of time passing, the lead face mirroring in the memory of Kwade’s earlier pieces of clocks with obscured faces. Kwade has been collecting lamps since moving to Berlin. In her work Lampe (Kaiser Idell Rot) Kwade deconstructs a lamp, grinds the elements into particles that resemble colourful sand, then displays them in specimen jars in a scientific vitrine. The useful is rendered useless, or alternatively the obsolete given a new role in life. Thomas Rentmeister’s work often contains an element of the found object, as it can be seen in Untitled 2014 where he employs two fridges. In the Haus am Waldsee in Berlin, Rentmeister installed a similar, permanent work in the carefully manicured grounds. He says that public sculpture is problematic, often deteriorating, and his work has already rusted. ‘Here the decay is part of the work.’ The fridge has been further transformed with some other materials: cream used for babies and Nutella. Another work made of previously used personal files that he carefully mounted and framed has the geometry and composition of formalism. Alicja Kwade (born 1979 in Katowice, Poland) lives and works in Berlin, where she has studied at Universität der Künste (1999-2005). Her Recent solo exhibitions include Kunsthalle Nürnberg, Kunsthalle Schirn, Frankfurt, and Kunsthalle Mannheim (2015), Kunstmuseum St. Gallen (2014), Bass Museum of Art, Miami Beach (2014), CCA Wattis Institute, San Francisco (2012). Alicja was awarded the Hector-Prize of the Kunsthalle Mannheim in 2015 and the Robert Jacobsen-Preis in 2010. Michael Sailstorfer (born 1979 in Vilsbiburg, Germany) lives and works in Berlin. He studied at the Akademie der Bildenden Künste in Munich and at Goldsmiths College, University of London. He participated in residencies in Los Angeles (Villa Aurora) and the Office for Contemporary Art Norway in Oslo. Recent selected exhibitions include: Haus am Waldsee, Berlin, Contemporary Art Centre, Cincinnati, OH (2014), Public Art Fund, New York (2012), S.M.A.K., Gent (2011), Martin Gropius Bau, Berlin (2006). His work was included in many large-scale international exhibitions: Folkestone Triennial (2014), the Yokohama Triennale (2005), Manifesta 5, San Sebastian (2004), the 14th Sydney Biennial (2004), the Liverpool Biennial (2004). Thomas Rentmeister (born 1964 in Reken, Germany) lives and works in Berlin. He is professor at the Braunschweig University of Art. From 1987 to 1993 he studied under Günther Uecker and Alfonso Hüppi at the Kunstakademie in Düsseldorf. His most recent solo exhibitions includes: Ellen de Bruijne Projects, Amsterdam (2014), ADN Pförtnerhaus c/o FAHRBEREITSCHAFT, Berlin (2013), Perth Institute of Contemporary Arts, Perth (2012), 4D (Tower-Center) at the Alexanderplatz (2011), Centraal Museum, Utrecht (2008), Haus am Waldsee (2007), Museum am Ostwall, Dortmund (2006). He participated in international events: (Meštrovic Pavilion), Zagreb (2014) and Adelaide Festival of Arts, Australia (2008).